Every mechanical repair we perform is precisely completed to ensure the final product is within factory specifications - guaranteeing the unit will operate as it was originally designed or better. We simply do not regard any project complete until the repaired and individually tested components are assembled into a cleaned, refurbished unit and then retested again as a complete system. The result is a reputation for quality that is uncompromising in terms of tolerances, clearances, balance and operation. Standing behind our mechanical servicing is one of the highest quality machine shops in the Midwest. Using the same demanding standards as our electric repairs, we have invested in a state of the art facility that is well equipped with CNC vertical and horizontal lathes and milling machines. We offer this in support of your needs for the remanufacture of pumps, gearboxes, fan, actuators, etc. 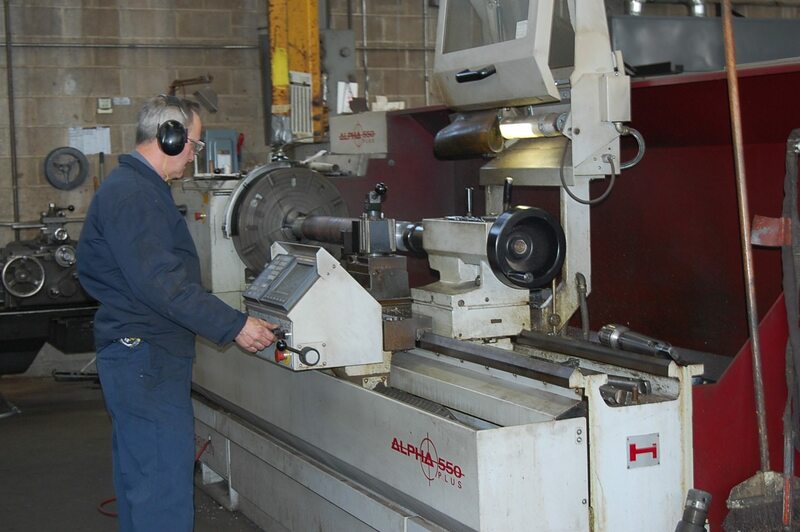 Our machinists have over 100 years of collective experience in servicing your mechanical needs.